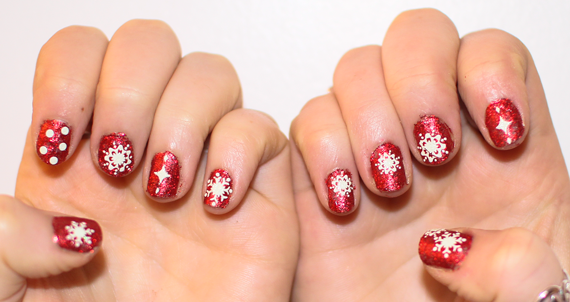 BarryM Christmas Red Glitter White Snowflake nail art ready for my Christmas Drinks night out. 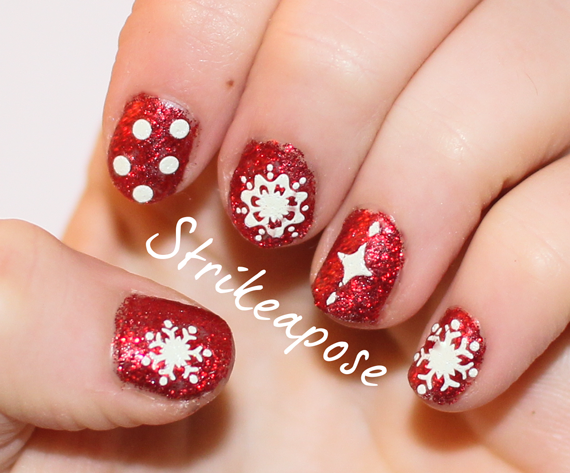 I love the contrast of the red and white and the Barry M Red Glitter Polish is so gorgeous. 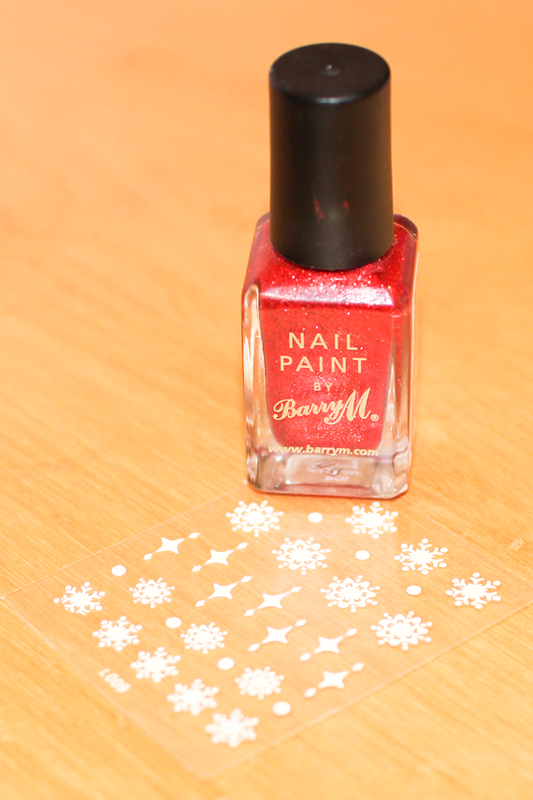 Rather than other glitter nail varnishes that have little glitter in it and need a lot of coats to look any good Barry M Red Glitter Polish has an even colour of glitter after two coats!